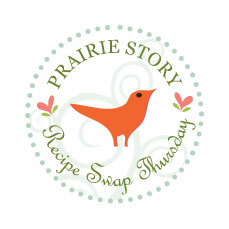 The most popular recipe from Recipe Swap Thursday last week was Zucchini Cookies @ Angel Foods Kitchen. Oh how we love baking with zucchini! This week I'm sharing my Borscht. Borscht really is the BEST soup ever. As kids we used to beg our Grandma to make it with her garden fresh veggies... and it's still one of my favorite comfort foods. 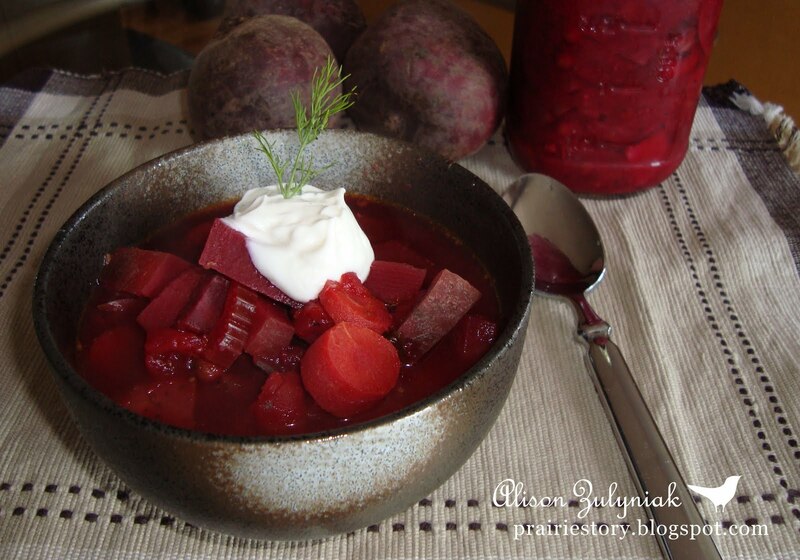 Be sure to check out a few of my other favorite Prairie Story Beet Recipes too! Today I bring Frozen Tropical Salad. It is just the thing if it is hot where you are. You might also want to check out Wednesday's post for Frozen Peaches and Cream Crisp. The party looks great. Thanks for hosting. I've just linked up, Alison! Thanks for hosting! Thank you so much! I really hope everyone tries these zucchini cookies, they are delicious. I'm going to have to try that recipe for Jamie, he'll love it!